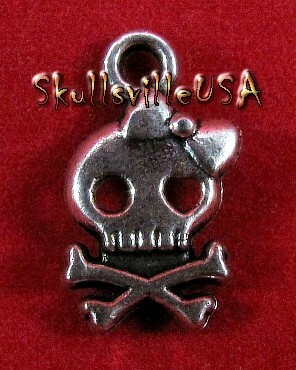 Pendants, charms & skull jewelry in fine pewter, sterling silver, and other exquisite materials. Unique & unusual items in Gothic, Wiccan, Punk, Victorian, Fetish, and other distinctive flavors. but his jaw never stops moving! 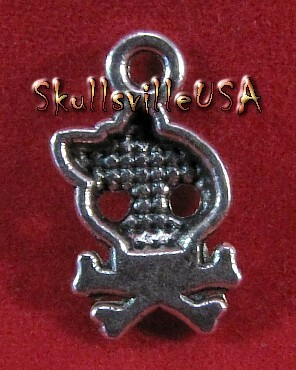 zipper pull or necklace pendant. 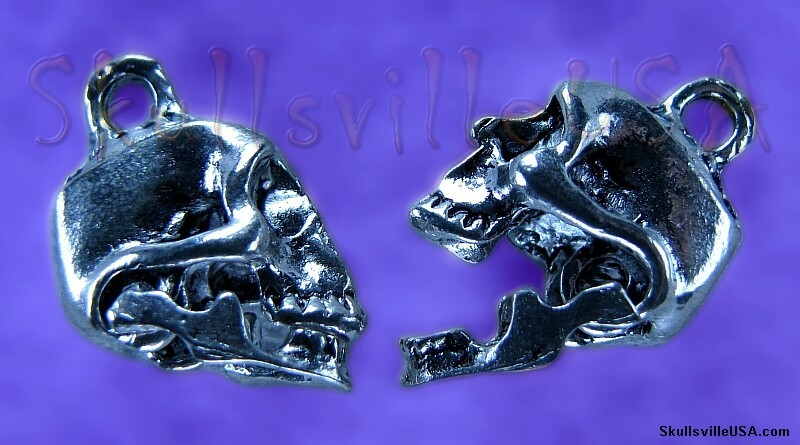 12 Moving Jaw Skull Charms. Stringing hole is about 3mm wide. 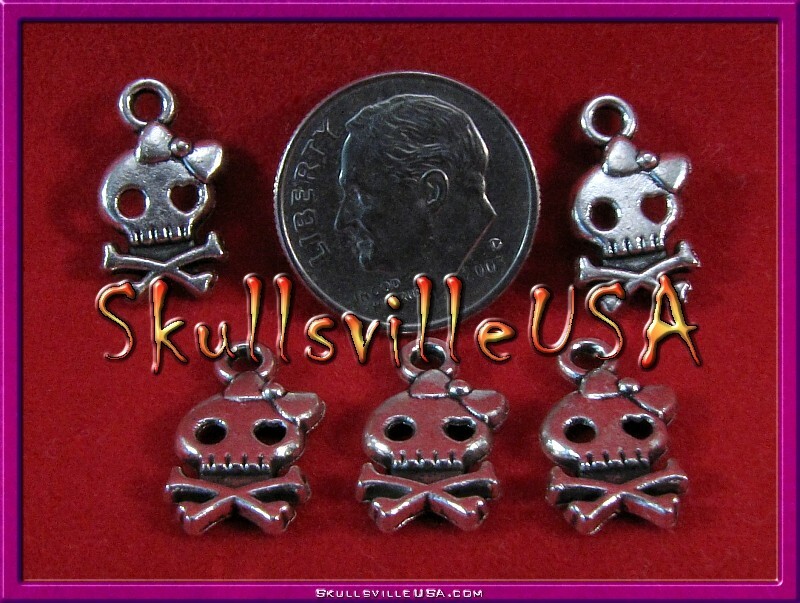 These sweet skull charms are about 16mm top to bottom. Stringing hole is about 2mm wide. or a beautiful addition to any other accessory project. 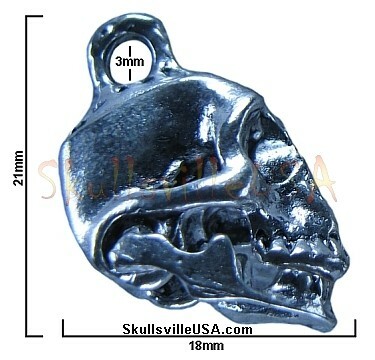 which can easily accommodate a strand of 550 paracord. 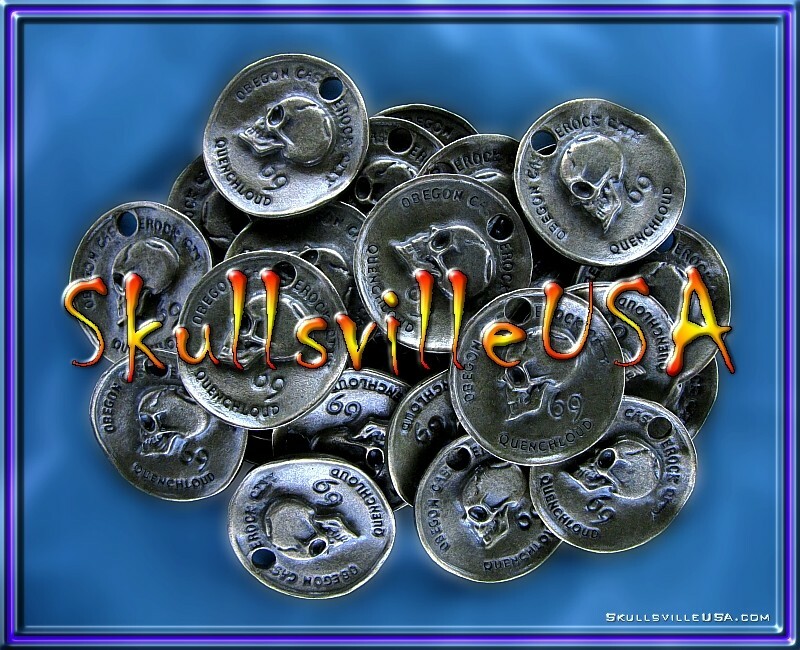 to resemble aged, old pieces of coinage or doubloons. 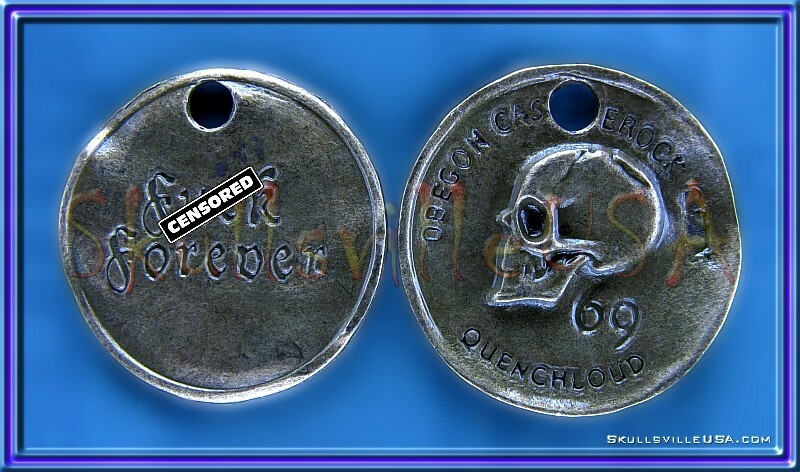 "Obegon Castle Rock City" & "Quenchloud"
These charms are about 1.2 inches from end to end. 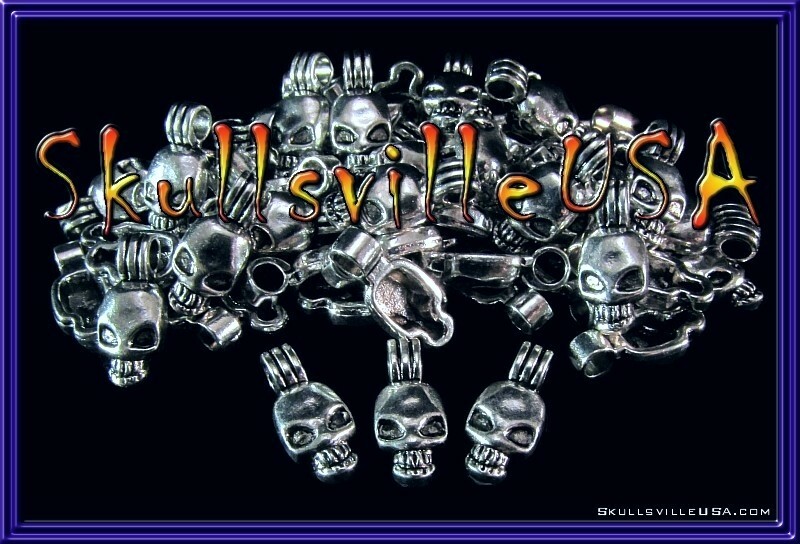 to paracord bracelets or key chains. 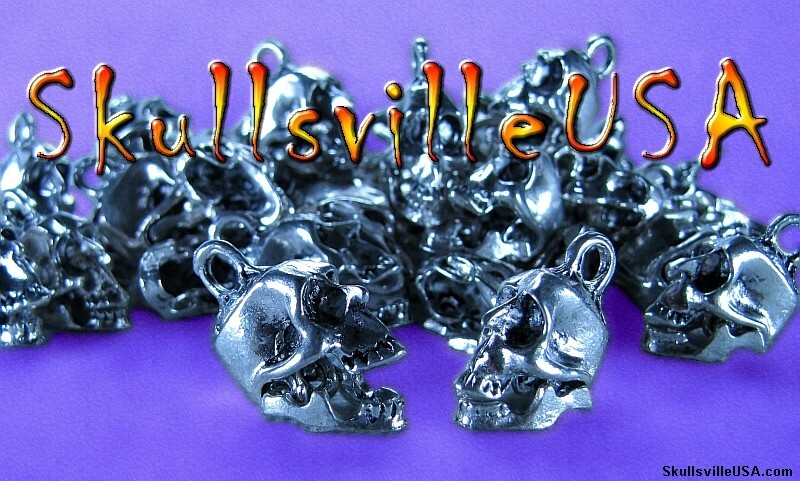 any jewelry or craft project.